Nokia returns its most talked about phone, the Banana Phone after 22years in a new model called Nokia 8110. 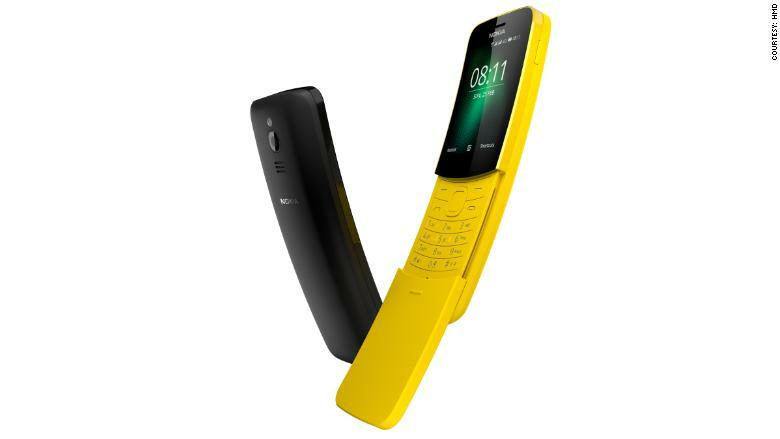 This Banana Phone which was first featured in the movie "Matrix" comes in banana yellow and black colours and will sell for €79 ($97), which is around N34, 920. It comes loaded with a new version of the game Snake. The 8110 also comes with 4G, and a handful of apps including Google Maps, Facebook (FB) and Twitter (TWTR). But it doesn't have a flashy operating system and users won't be able to download other popular apps. Strong report says the phones are reliable and can run for a long time on a single charge going for 25 days in standby mode.